This past weekend I spent quite a bit of time playing Fantasy Flight Game’s board game Relic. 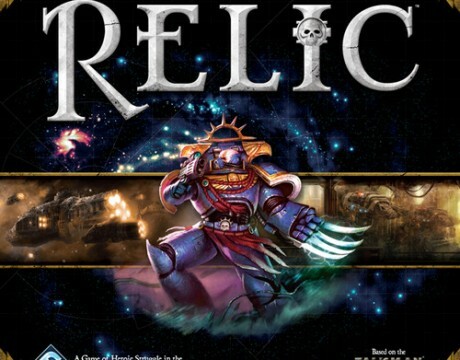 Relic takes place in the Warhammer 40,000 universe and sends players exploring the galaxy. 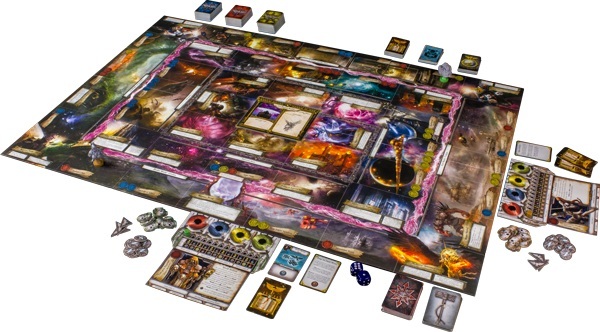 The game is the 40K version of the fantasy game Talisman. Relic takes Talisman’s rules and improves upon them. The game retails for 60 dollars, but the game is full of detailed playing pieces, counters, and about 12 trees worth of cards. Seriously, they’re smaller than playing cards but there are a ton of them. At the start of the game each player picks one of the game’s characters. Each character has different starting stats and special abilities. The game is Empire-centric so choices run from things like a Space Marine Captain to a Ratling Sniper. A final objective is set in the middle of the board that determines what it takes to actually win the game. In addition to the final objective each player is dealt a mission card, giving them a smaller objective to achieve. At that point the players start moving around the board. Each card drawn gives them a chance to fight an enemy, gain equipment, or even gain followers. Kill six points worth of bad guys and you gain a level. Leveling increases your stats and could have other rewards. Finish three missions and gain a Relic. Relics are very powerful equipment cards. It can be a very, very long game. Because it is so reliant on cards, it can also be a very random game. That doesn’t mean it isn’t fun though. Laughing at the misfortune of your opponents might be the best part of the game. If you like your board games a little more complicated I recommend you check it out, I know it is something that I’ll be adding to my collection soon.